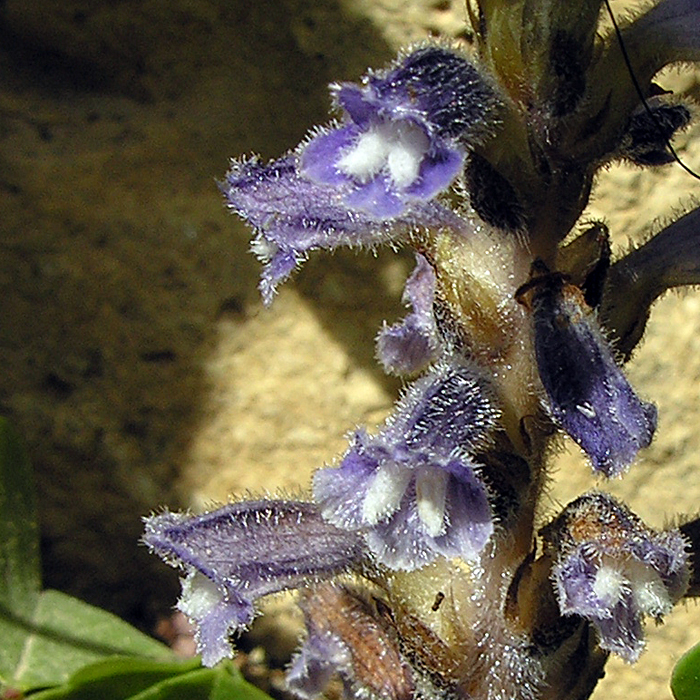 O. ramosa is one of the commonest Broomrape species to be found in the Mediterranean and even used to be recorded in the British Isles at one time. 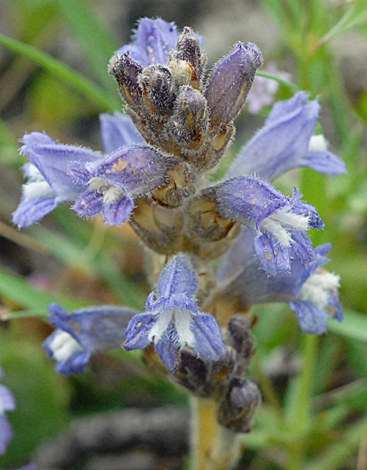 Ramosa means branched and often the plant will have small branches from the main stem above or just below ground level. 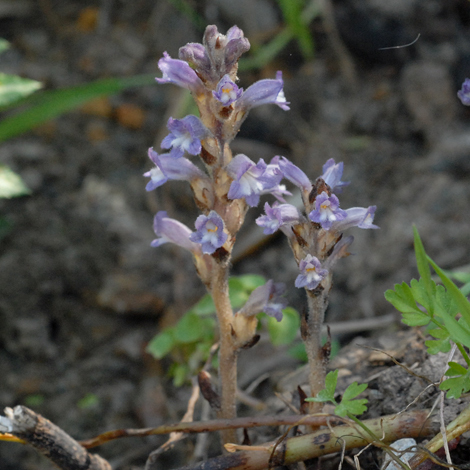 It could be confused with O. cernua which has distinctly curved or nodding (= cernua) flowers or O. arenaria which is also blue and of similar size.